Angular 6 Forms Tutorial Example From Scratch. Angular offers two form-building technologies: reactive forms and template-driven forms. The two technologies belong to the @angular/forms library and share a standard set of form control classes. In this example, we will see Reactive Forms. #2: Include Bootstrap 4 in Angular 6. #4: Import FormGroup and FormControl. #7: Insert Validation into the field. #8: Display Angular 6 Validation Errors. Angular reactive forms facilitate a reactive style of programming that favors explicit management of the data flowing between a non-UI data model (typically retrieved from a server) and a UI-oriented form model that retains the states and values of the HTML controls on the screen. Reactive forms offer the ease of using reactive patterns, testing, and validation. 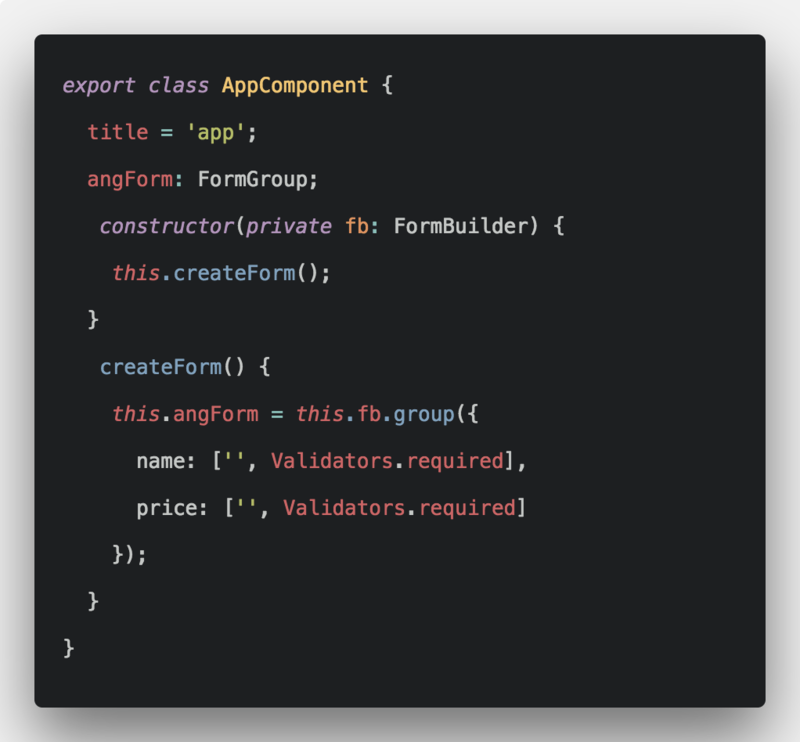 With reactive forms, you create a tree of Angular form control objects in the component class and bind them to native form control elements in the component template. In template-driver forms, you place HTML form controls (such as <input> and <select>) in the component template and bind them to data model properties in the component, using directives like ngModel. 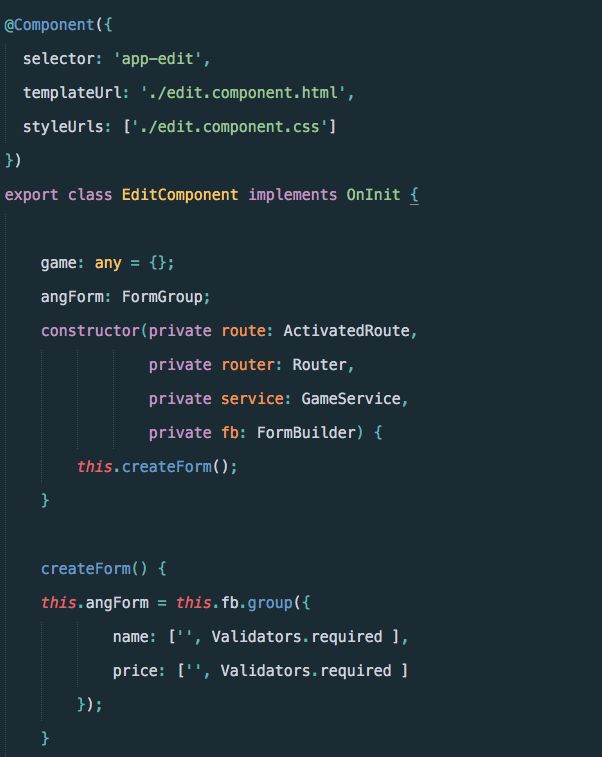 You don’t create Angular form control objects. Angular directives create them for you, using the information in your data bindings. You don’t push and pull data values. Angular handles that for you with ngModel. Firstly, we install our Angular 6 project using Angular CLI. Go to your terminal and install Bootstrap 4 using the following code. Inside src >> app >> app.module.ts file, import the ReactiveFormsModule. Now, we will create a form inside app.component.ts. So, we need to import FormControl and FormGroup class inside an app.component.ts file. So, what I have done are import FormControl and FormGroup modules. Next, Create a form object called angularForm and pass the input called name. All the form controls are also a form object. So, angularForm is root html form object. Inside all the input types are sub-objects. Now, we can create a form inside an app.component.html file. Write the following code inside an app.component.html file. So, we have assigned the formGroup called angularForm. We have created formGroup inside app.component.ts file already, we have just assigned them to the form element. Also, we have created a formControl attribute called name inside an app.component.ts file, here we have assigned it to the form input type. You can see the form. Import FormBuilder class inside app.module.ts file. First, we need to import Validators module inside an app.component.ts file. Now, we just need to pass an array as a value to the name property. Now, I have changed the form design and added the validation errors. If the error occurs then it displays in the form. If any error is still there, then the submit button is disabled. Finally, we have completed Angular 6 Forms Tutorial Example From Scratch. Very Useful. Simply awesome. Keep it up. How to submit the data .